Blog Share: Law of Attraction: Manifest Your Dreams Into Reality. 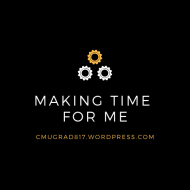 Posted byMaking Time For Me February 6, 2019 February 7, 2019 Posted in#Blog, 2019 Themes, Community Connection, MakingTimeForMe, See It, Believe It, Achieve ItTags: #blogshare, #communityconnection, #happiness, #lawofattraction, #MakingTimeForMe, #thesecretLeave a comment on Blog Share: Law of Attraction: Manifest Your Dreams Into Reality. REBLOG: What Do You Think About…Being in Charge of Your Own Happiness? Bringing back another oldie about “The Secret.” via What Do You Think About…Being in Charge of Your Own Happiness? Posted byMaking Time For Me February 6, 2019 February 7, 2019 Posted in#Blog, 2019 Themes, Live On Purpose, MakingTimeForMe, See It, Believe It, Achieve ItTags: #happiness, #lawofattraction, #MakingTimeForMe, #reblog, #thesecret, #thisis38Leave a comment on REBLOG: What Do You Think About…Being in Charge of Your Own Happiness? Today’s Inspiration — Simply Etta D.
I wish that people who take care to think of this more often! via Today’s Inspiration — Simply Etta D.
Posted byMaking Time For Me November 19, 2016 November 19, 2016 Posted in#Blog, MakingTimeForMe, Ways of Thinking, Weekly Faves: ReblogsTags: #happiness, #makeothershappyLeave a comment on Today’s Inspiration — Simply Etta D.